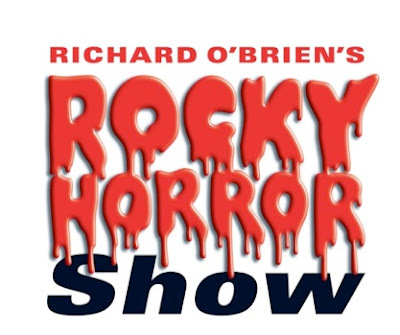 Comedian Norman Pace will be joining the cast of the smash hit musical Rocky Horror Show next month. He will join fellow comedian Steve Punt and Coronation Street star Charlie Condou to share the legendary role of The Narrator on the UK tour which is currently smashing box office records in venues from Brighton to Liverpool, Birmingham to Sunderland. Following critically acclaimed performances on the tour earlier this year, Steve Punt will reprise the role in Cardiff, Sunderland, Southampton, Wimbledon, York, Aylesbury, Nottingham, Richmond, Malvern and Stoke. In Bradford - back by popular demand - following his hilarious performance in Manchester, Charlie Condou will be slipping his suspenders back on for two performances on Friday 18th March. Norman Pace will make his Rocky Horror Show debut in Torquay, and will then perform in Bradford, Edinburgh, Belfast, Dartford, Wolverhampton, Sheffield, Woking, Leicester, Watford, Bristol, Milton Keynes, Canterbury, Glasgow, Southend and Bournemouth. The unique show also stars Diana Vickers, Ben Freeman and Liam Tamne. Norman Pace, one half of comedy duo Hale and Pace, has become an accomplished actor in his own right, with guest lead roles in BBC’s Casualty and ITV’s The Last Detective. He made his West End debut as ‘Amos Hart’ in Chicago in 1999 and has since gone on to perform in the UK tours of Honk, A Slice Of Saturday Night, Much Ado About Nothing, Twelfth Night, Satin ‘N’ Steel, Breakfast With Johnny Wilkinson, Donkeys Ears, Our Man In Havana, Dry Rot, Charley’s Aunt, Annie Get Your Gun and most recently One Man Two Guvnors. Charlie Condou is best known for playing Marcus Dent in Coronation Street for four years and his successful column ‘The Three of Us’ in The Guardian. Charlie’s other television credits include Me, You, and The Apocalypse, The Impressionists and Midsomer Murders. On the silver screen, Charlie has starred in Good, Fred Claus and Charlotte Grey, while some of his theatre roles include Next Fall (Southwark Playhouse), Dying for It (The Almeida), The Changeling (Southwark Playhouse) and Shopping and F***king (UK Tour). Since its first appearance at the Royal Court Theatre in June 1973, Richard O’Brien’s The Rocky Horror Show has become the world’s favourite Rock N’ Roll musical. It has been performed worldwide for over 40 years in over 30 countries, selling out in Australia, Germany, Switzerland, Japan and Austria, and has been translated into more than 20 languages. Director Christopher Luscombe created a stunning new production to celebrate the 40th Anniversary, which famously combines science-fiction, horror, comedy and music and encourages audience participation. This critically acclaimed version of the classic show, which tells the story of Brad and his fiancée Janet – two squeaky clean college kids who meet Dr Frank’n’Furter by chance when their car breaks down outside his house – is back by popular demand, embarking on a year-long national adventure. Please note that Diana Vickers, Ben Freeman, Paul Cattermole and Liam Tamne will perform through to 28 May 2016.